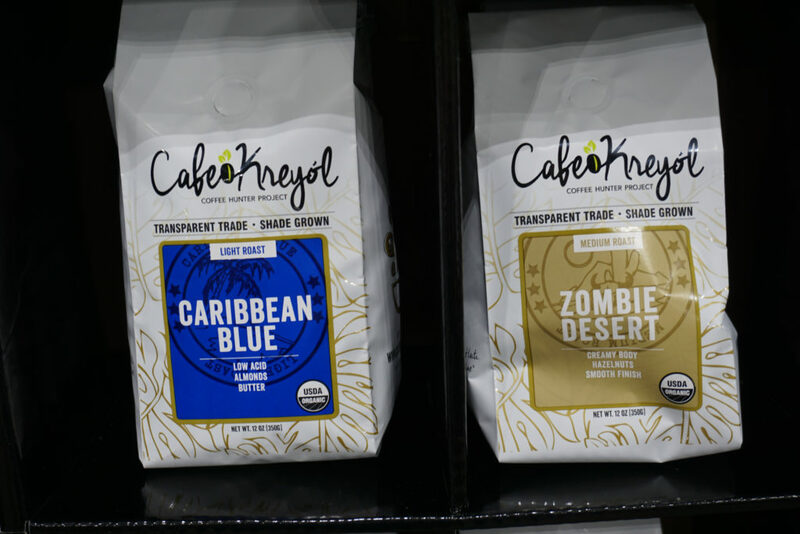 The redemption story arc begins with heartache and outrage and ends in a triumphant comeback, which is why it’s premature to pin the genre on a return of specialty-grade coffee in Haiti or the parallel personal turnaround of Joey Stazzone, CEO and founder of Café Kreyol. Let’s call them predemption stories then. They’re worth telling. Most coffee origin histories begin either in Ethiopia, the agreed-upon birthplace of the coffee fruit, or Yemen*, where it was first commercially cultivated. But between the late 1700s and halfway through the 20th century, Haiti was one of the world’s dominant coffee producers. Today Brazil grows the biggest percentage of coffee (at approximately 40 percent). The trade was lucrative enough to cause Napoleon to send troops to stave off the revolution. Although Haiti’s dominance in coffee dipped (some historians say it peaked in 1789, others say 1850), the country was still considered the world’s third-largest coffee exporter as late as 1949. A combination of political instability, including dictatorships (Francois “Papa Doc” Duvalier, 1957-1971, and his son Jean-Claude “Baby Doc” Duvalier, 1971-1986) and the U.S. embargo in the 1990s, and an ongoing series of natural disasters (hurricanes and tropical storms and the devastating earthquake in 2010) all conspired against the country, and coffee production naturally suffered as well. Farmers were afraid to bring crops to market, middlemen devoured any potential profits, and during desperate times, trees became more useful to produce charcoal for cooking. Although today’s specialty-grade coffee roasters have invested in the end-to-end quality of the coffee supply chain, paying special attention to ensuring the livelihood of coffee farmers, Haiti has only recently begun to be a beneficiary. Tate Watkins, a self-labeled “coffee guy in Haiti” says in his book “Haitian Coffee Grows On Trees” (an excerpt appears here on Medium) that Haiti’s most recent yields are about a third of the Central American average. Most Haitians are, in fact, farmers, who mostly grow cacao and mango, Watkins notes, adding that coffee is still a great cash crop. He created Haiti Coffee Academy, which works with farmers to increase quality production. His venture is backed by The Clinton Foundation and La Colombe, a roaster in Philadelphia. 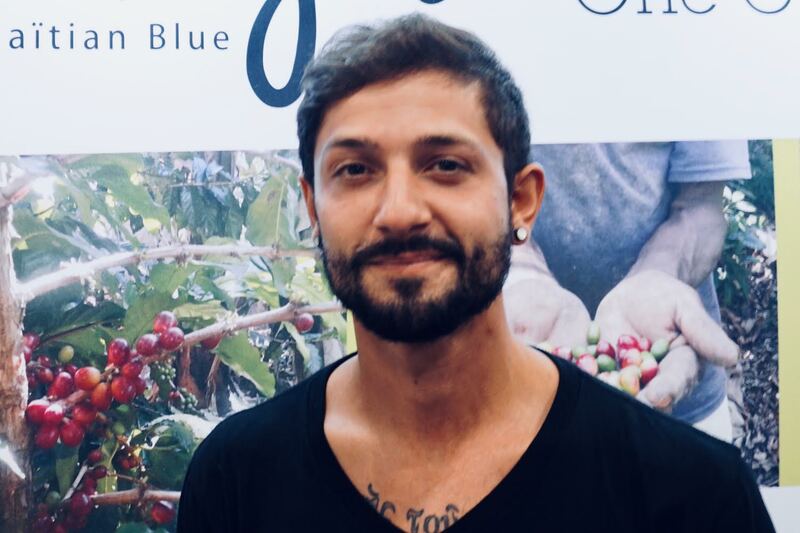 This is probably a good time to introduce Joey Stazzone, whom I met while walking through a recent LA coffee trade show. 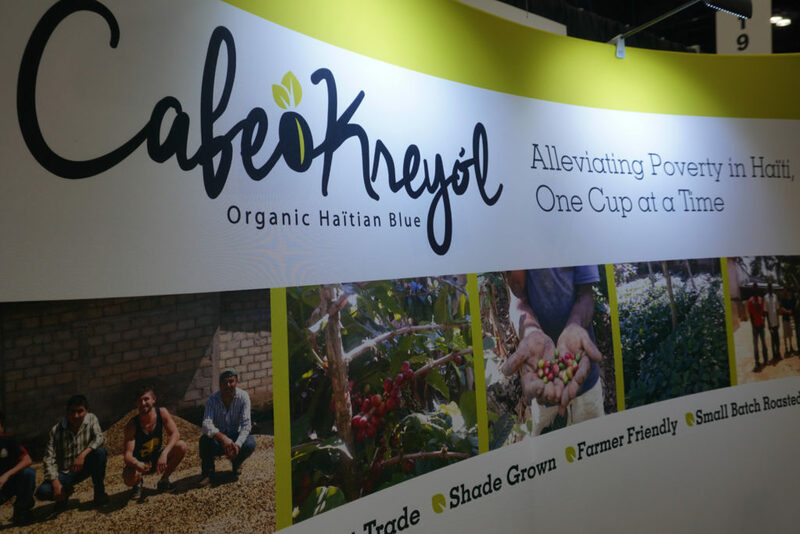 His company, Café Kreyol, is a direct trade importer and roaster working in several regions, but its main mission is trying to reunite Haiti and coffee. Stazzone (tasting notes: wiry, conversationally efficient, with a bold intensity and a hint of trade-show ADD, or maybe it’s the extra caffeination) has direct experience with farming and importing. Before becoming an improbable coffee entrepreneur in an equally improbable region, he was a heroin addict with felony drug trafficking convictions. Stazzone and I do not discuss his early, troubled days, but these are also not things he hides. His employees talk openly about his journey, and Stazzone has documented it in a video profile that depicts him stuffing heroin into basketballs in order to go undetected crossing country borders. Smuggling, he says, is just like the import business, only with less paperwork. Stazzone had even apprenticed on a pot farm, to which he credits his understanding of agronomy. Moreover, he attributes his drug use and subsequent jail time to a new-found religious faith. Seven years ago Stazzone traveled with his church to bring relief items to Haiti after the 2010 earthquake that killed more than 200,000 people. For him, the efforts didn’t seem like enough, and he quickly realized that despite the mission’s best intentions, it was also misguided. For example, the free shoes the church gave away ended the business of a woman who was selling shoes for $2 a pair—a business she had started by getting a bank loan. Spurred by this experience and the poverty he witnessed in Haiti (some economists estimate that as much as 60 percent of the Haitian population lives below the poverty level, perhaps the highest in the western hemisphere), Stazzone decided to do something about it. Thanks to the USAID efforts, he found a decent amount of infrastructure in place for coffee farmers, including washing stations. One critical result of the machinations of the last half of the 20th century in Haiti is deforestation, Stazzone tells me, and reversing this trend is an ongoing process. The farms Café Kreyol is working with are growing coffee between 1200 – 1600 meters above sea level, where there’s a better source of tree shade to protect the plants and to help provide nutrients into the soil. The Caribbean soil is typically clay and full of limestone, which can make coffee more difficult to grow, Stazzone says. The upside is that it reduces the acidity of the coffee. When I ask Stazzone what scores these coffees would receive, he says the Haitian Bleu I tried would get about an 86 (out of 100), which is a very solid score, plenty to call it specialty coffee. 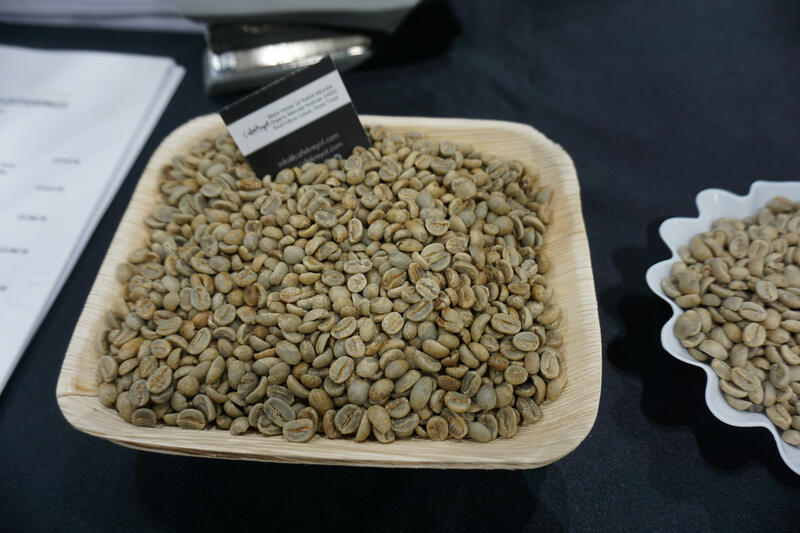 However, Stazzone doesn’t think it’s capable of scoring higher, simply because CQI (Coffee Quality Institute) scoring doesn’t reward low acidity, he says, and only treats sweetness (another attribute of this coffee) as a checkmark item. Cup Of Excellence scoring allows sweetness to earn points on a 10-point scale, Stazzone says. For what it’s worth, Coffee Review gave Café Kreyol’s Zombie Desert Haitian Bleu a very solid score of 87 in 2013. I’m still working on improving my own sensory abilities, but the lack of bite from the low acidity is immediately striking; I can also readily feel the creamier body on the Haitian Bleu. Stazzone also says the coffee has nutty notes, almond in particular. I’m unable to pick those out, but given that he’s a certified Q grader, I’ll take him at his word. 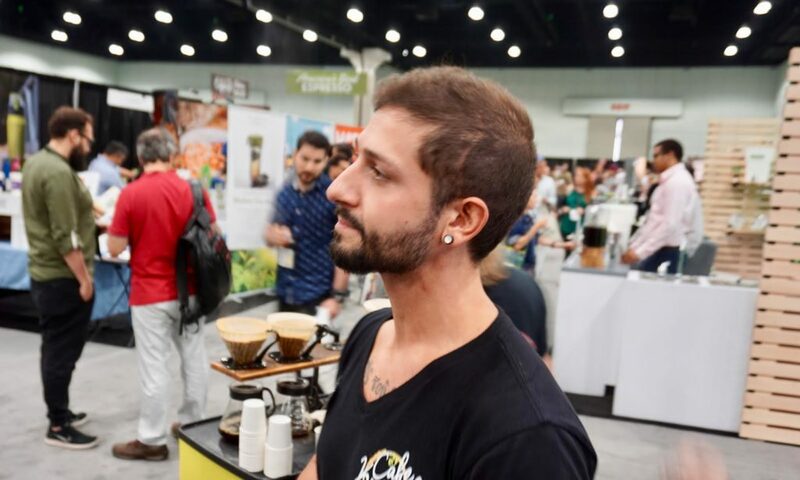 Stazzone has been a Q grader for the past three years, and for the past seven years, he’s thrown himself into the field, watching and learning, cupping lots of coffee (coffee 101 note 3: there’s an actual process for professionally tasting coffee, called “cupping”), talking with experts. He cites Tim Hill of Counter Culture Coffee (North Carolina) and Brandon Bir of Crimson Cup (Ohio) as heavy influences, and both of them have offered tasting thoughts on Stazzone’s early work in Haiti, and both have offered helpful advice about coffee storage and drying techniques. These days, Stazzone holds seminars in Haiti, demonstrating through cuppings the differences in taste when coffee plants have absorbed too much moisture, the berries and beans haven’t been sorted for defects and other issues that often plague quality coffee production. Each incremental improvement will vastly improve a farm’s coffee and the subsequent price buyers will pay for it. The redemption story is never short, and it’s never easy. But if the journey predicts an ending, it will be sweet and creamy and maybe just a little bit nutty.